When we found out about Kelly we were heartbroken. Someone at church even said to me, “This is much like a death in the family.” It’s true. It’s hard. What do you do with all the stuff you have bought during happier times? As you know from my previous post, someone graciously offered to take some of Kelly’s clothes with her when she traveled to China. I cried taking those clothes out of the suitcase, remembering all the fun the girls had picking them out. Her blue comforter is still on her bed. The stuffed animals the girls had bought her still sit on the pillow. Its been 27 years, but I still remember coming home after Kyle died. 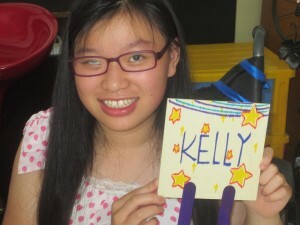 It has been much like that after the news that Kelly did not want to leave China. After we heard Kelly’s decision, our agency asked us what we wanted to do about being approved for two? Dan and I still felt like we were supposed to bring home two. It seemed almost ridiculous to pay the fees, be approved for two, and then not bring another child home. But you can’t just replace the child that you lost. How do you even start? We started at the best place, the only place….prayer. Lots and lots of prayer. I asked God over and over again to show me what I was supposed to do. I had no clue where to even start. I know during those first few days I repeated the words, “I can’t do this!” at least 100 times. We talked with our trusted adviser at the adoption agency and she laid all the information out. Because of expediting Kelly, Elyse is still on the expedited timeline. We can slow it down a little, but not a lot. That means if we wish to bring a second child home we needed to decide now. We needed to pick a special focus child who was already on their agency list or a child off the shared list in one of the two provinces where they already had guides. The child needed to fit our criteria on our MCC (medical condition checklist). We said we wished to adopt a girl between the ages of 7 and under 10. She had already been searching and told us the odds of that happening were slim. There were no girls that fit our criteria. She would continue to look. There was no time to ask for an agency to switch a file. There was no time to ask for updates. She told us she would keep looking and talk to others at the agency. Dan and I both know who is in control and we knew if it was meant to be, it would happen. We just had to trust in that fact. When my friends, who have also adopted, heard they understood completely and tried to help match us with a child. They sent us beautiful pictures of children who need a family. That first day, I cried all day long over the loss of Kelly and the shear number of children waiting for a family. 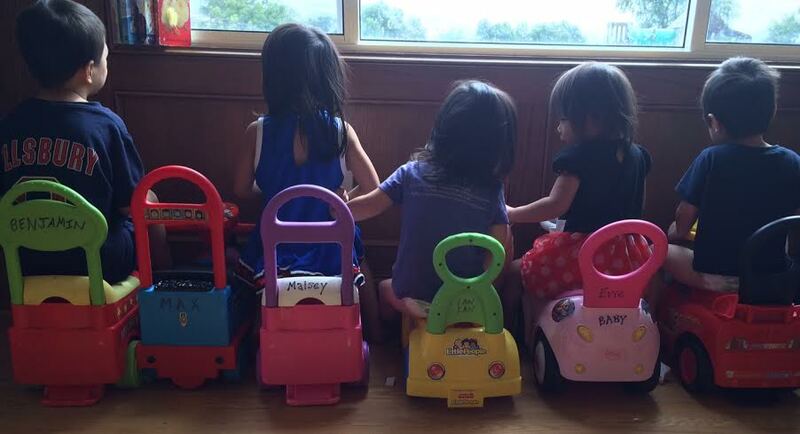 Since we had said little girls, they sent us file after file of sweet, beautiful girls who wait. 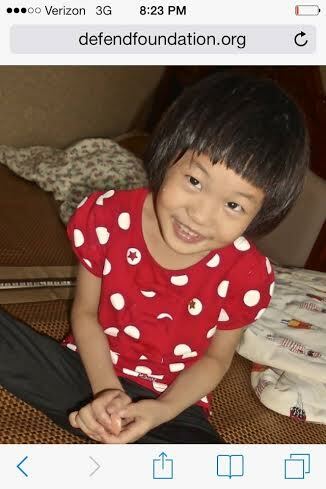 Girls who don’t have much hope of a bright future in China, but who would be beautiful additions to any family. Why are they waiting? But it just didn’t feel right. They are beautiful girls. Others described them as sweet, special, and wonderful. They would be a beautiful addition to any family, but they didn’t feel like they were meant to be our daughter. That is the hardest part about adoption. If you truly trust that God is leading you to a child, then you have to wait, but at the same time how could it be wrong to give any child a family? More days passed and our agency called asking us to consider a five year old boy. We had not been open to a boy mainly because we already had a bed in the girl’s room and the girls were all set to have another sister. 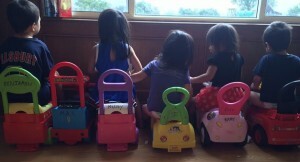 The thought of adding to the littles was a bit overwhelming. Who willingly chooses six children under the age of 6? But since we said we would consider any child God placed before us, we said we would consider it. She told us to look at their waiting child page. We were told he had bilateral microtia. That was a very doable special need. It is the same diagnosis that Maisey has. We already sign. We know all about the surgeries and the BAHA hearing aid. We understood the frustration these children have from lack of communication. Dan asked for her to send his file. I love the way the Lord provides. I immediately searched for her on Facebook. Her Facebook page was open so I started scrolling through the pictures and then I saw his little face. She was advocating for him because he was being called back to the orphanage. She went on to say that he really, really needs a family. She said that he is such a sweet, smart boy and would be a great addition to any family. I sent her a friend request and she immediately messaged me. She told me all about him. She sent me his baby picture. She told me who was caring for him and how sad they were that he had been called back to the orphanage. She let me know that he was at camp right now. A camp put on by our agency. I kept reading through all the comments and noticed that 21 people had shared this information. How do 21 people share about a child desperately needing a family and no family requests his file? I clicked on the shares to see if anyone I knew had shared his information. I noticed that Donna, a friend of mine, had shared it. I clicked on the share to see what others had said and what do I see? A comment from me asking if he had bilateral microtia. On May 5th, I had commented about this little boy. And it all came flooding back…. 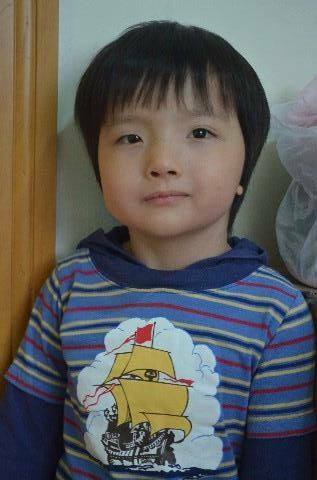 I remember reading about this little boy who was being sent back to the orphanage. I remember being so sad and sitting at the table with tears in my eyes. I remember talking with Zach about it because it reminded me of Maisey when she had to go back. She left the home and all the people who loved her and nourished her and helped her grow only to go back to a place where either no one knew how to communicate with her or didn’t feel she was worthy of communicating with. She had a bald spot from throwing herself to the floor out of sheer frustration over and over again. She would do this at any moment and she did it with such force. She was only with us two days in China before she almost completely stopped throwing herself to the floor. She stopped because we got down at her level and communicated with her. She stopped because we taught her a couple simple signs and she wasn’t as frustrated. I knew his little heart was going to feel pain. He was leaving those he loved. My heart hurt. I wished we had asked to be approved for three on our homestudy. He would have been an easy child to add. We knew how to deal with his hearing issues. We knew how to deal with the frustration he would have with communicating. But I knew with our expedite that I didn’t have time to ask for an updated homestudy to add a third child so I just let it go. I never gave it another thought. The reality was he became just another child who touched my heart and I had to let it go because it is just so overwhelming. In an amazing turn of events, we had been presented with the same child I wished we could adopt. He was a perfect fit for our family. Just the right age to be a playmate for Ben who often feels left out of the Evie/Eli bond and Maisey and Lainey, who often play alone. Yet, he wouldn’t disrupt Ben’s being the oldest little. Ben takes the job of being big brother and protector of the littles very seriously. And just a couple weeks ago, I wrote about the swallows in our back yard. I wrote about something that happened almost 13 years ago. Here is that post. Yesterday, as I mowed our back acre, I was reminded of 13 years ago when we moved to this property. Usually Zach mowed but he was gone so I went out to do it. As I was mowing, swallows dive bombed the mower. They got so close that it made me really nervous. I finally gave up and went into the garage and got a tennis racket. So here I was trying to mow the lawn, swinging a tennis racket at dive bombing birds. It was quite the sight. My perspective was they were out to get me. My neighbor, who was laughing hysterically, asked what I was doing. I told him and he said, “Lisa, they are diving after the insects you are kicking up while mowing.” I felt silly to say the least. It reminded me of how we can think things are out to harm us, but then our perspective changes and we then see the beauty in the situation. I mowed for an hour yesterday watching the swallows dive up and down, coming oh so close to the mower. It was peaceful and beautiful. How things can change with the right perspective. Exactly…..beauty amidst the ashes. My heart has been broken by what I can not do for one child, but there is beauty in still being able to be a family for another child. I don’t know what God’s plans are. Maybe Kelly needed to know a family would fight for her. I know that she will always have a special place in my heart and I will do whatever I can to support her. I will continue to cover her with prayer. I am at peace knowing she is with people she loves. She will always have a home. She will have a job and opportunities to sing and paint. But in my heart she will always be my girl and it will always be bittersweet. Here is what I do know though, before I saw Kelly’s picture and my heart was stolen, we were pretty sure we were finished adopting. When Jasmine brought up adopting an aging out child, we told her we would seriously consider it after Eli and Evie were done with their surgeries. We asked her if she could wait another year or so. But Jasmine kept praying and our hearts were opened to the idea. Had we not been trying to adopt Kelly, we wouldn’t have seen Elyse’s file and if we hadn’t had everything happen with Kelly, we wouldn’t be adopting Max. It brought me comfort that Max was a child I had already considered adopting. We couldn’t replace Kelly. It was just so hard. You can not just replace a child, but there was a unexplainable peace with Max. We wouldn’t have even gone looking for him because he didn’t fit our neatly checked boxes of what we thought our family was looking for. The path doesn’t always make sense when we are on it, but then God gives you little glimpses of the beauty in the tapestry that is your life. And we know that in all things God works for the good of those who love him, who have been called according to his purpose. – Romans 8:28 Not all things will be good, but that they will work together for good. It’s so hard to deal with all these feelings. The sadness mixed with the joy and the anticipation of traveling. Life is like that though isn’t it? Learning to dance in the rain. Learning to let go of what you can’t control and follow where He leads. I’m still learning. This past year has been one of the hardest on our hearts in our almost 30 years of marriage, but it has also one of the most beautiful. God sometimes takes us out of our comfort zone so that we can grow in His love by having to trust and let go. “You’re blessed when you’re at the end of your rope. With less of you there is more of God and his rule” (Matthew 5:3 MSG). I would like to introduce you to Max, our unexpected blessing! What do I know for sure? Life is complicated, difficult, heartbreaking, unpredictable, but it is also beautiful, wonderful, heartwarming, and joy-filled. Sometimes the journey isn’t what you thought it would be. Sometimes the curves take you places you didn’t set out to go. I know it’s not about the destination. It’s about following where God leads and trusting in His plan even when it doesn’t make sense to you. I haven’t updated about Kelly in a while because it’s just been too hard on my heart. There are so many emotions and thoughts that I just couldn’t get the words down on paper in any coherent way. Have you ever just not wanted to do something because it made it way too real? That is where I am at. This is going to be long. I’ve tried to cut it down, but there’s so much I want to say. I thought about doing it in a couple of posts, but I just want to be done thinking about it. 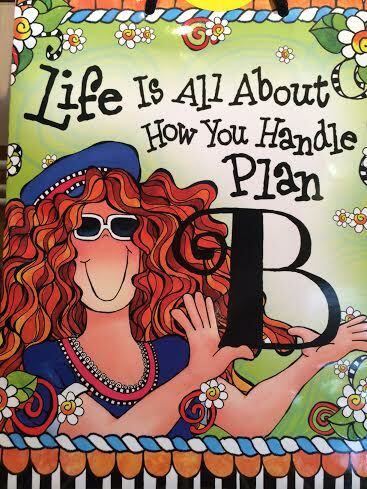 So here goes, time to pull off the band-aid quickly…. Kelly does not wish to be adopted. Well, even that is not the whole truth. She doesn’t want to leave China. She doesn’t want to be adopted by foreigners. She doesn’t want to learn a new language and come to a new country and I can’t blame her. I’m not sure I could have done it. I have older daughters. I know Hope wouldn’t have wanted to leave her home and everything she knew and loved. Gracie might have been more open to it and considered it an adventure. 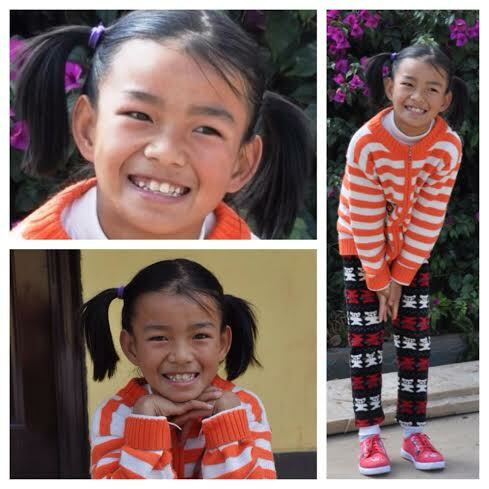 Jasmine left China but she had no options and nothing waiting for her there so she was able to embrace all that we offered. Cassie would have trusted God and His plan and done whatever she felt He was leading her to do. For the past two months, we have known that Kelly has had great reservations about being adopted. We have not said anything because we were hoping it was just the usual “I am afraid” response. We hoped and prayed she would embrace the thought of family even though she was afraid. As you know months ago, I saw Kelly and Amanda’s pictures on some Facebook advocacy page. Things just never moved forward with Amanda. There were many roadblocks and it just didn’t seem right, but with Kelly the more I read about her the more I cared. I knew that my heart was moved but I wanted to be sure it wasn’t just an emotional response. I prayed and prayed some more and decided to ask more questions. I wanted all the information I could get on her so I posted a comment and people responded. I was told that I should talk to two specific people, one of whom had met her and the other who had hoped to adopt Kelly herself. From these two people, I got the names of two other people who had cared for Kelly in the group home. I asked every question I could. The most important questions being “Does she really want a family, would she be okay with a large family, and does she want to come to America?”. I think we all like to think, “Well, who wouldn’t want to come to America and have a family?”, but the truth is sometimes older children do not wish to leave their birth country and everything they know and hold dear. By the time these older children are teenagers, they have come to terms with the fact that a family may not be coming. They are used to caring for themselves and can be very independent. As a family, we discussed adopting Kelly. We talked with our agency and asked them what the chances were of adopting an aging out teenage girl in 170 days. Our agency informed us everything would have to go perfectly, but it was possible. We decided to take a chance, we submitted our LOI, and waited for PA. After PA you are allowed to send letters, gifts, and pictures. We received our PA and sent a care package to Kelly. After we knew she got our package, we talked to people again. She had seen our pictures and we wanted to be sure she was okay with a big family. We continued to ask if she really wanted a family. We tried in many different ways and we never got the response we wanted. We heard over and over again that she wasn’t sure and that she was afraid. We never heard the words, “She really wants a family but is afraid.” You can overcome fear if the want for a family is greater than the fear. We understood that she would be fearful, everything in her life was about to change. We understood it would take time for her to adjust to her new life. No one can be expected to give up everything they hold dear and not have it affect them. Instead of hearing that she wanted a family, we heard over and over again, “We are trying to convince her this is the best thing for her.” We did everything we could to ease her mind. We talked to people who were close to her. We sent her letters in her care package. We let her know about our blog. We asked them to share our Facebook page with her so she could see videos and pictures of our family. We asked to Skype with her. We were allowed to Skype and we thought things had gone well. She didn’t seem afraid while Skyping. She was laughing and smiling the whole time. Her body language was relaxed and open. At the end of the call, we had told Kelly to let them know if she had more questions. We waited a few days and we heard nothing. I sent an e-mail to the director of the group home asking him if she had more questions and he said skyping made her fear worse. She was even more afraid and was very unsure about whether or not she wanted to be adopted. One of the main things that stood out to me was that after we skyped, she said all the littles were overwhelming. They were very sweet during the Skype conversation. They all took turns and said “Hi!”. They waved and Evie even blew her a kiss. It wasn’t anything compared to what our house is like. They are very busy little people. I was hoping that she would see how much they loved her, but it had the opposite affect. The issue is she has people she loves at the group home. She has a very close friend who she helps with schooling. She cares about all the little ones that are there. She considers these people her family. She sings with them. She has art lessons and piano lessons. She can work in their bakery when she’s of age. She won’t be out on the street. In her mind, she has a whole lot to lose and she has no clue what she would gain. With all the information we had, we talked to our agency. After much group discussion within the agency and with our family, we knew we had two options. First, we could travel and hope that we could convince her to be adopted. But even as we discussed that, we were told by her group home that they would not force her to sign. They were going to let it be her decision. Second, we could give her a deadline by which to make her decision. She had been wavering for months and it wasn’t getting better. In fact, it seemed it was getting worse. We prayed and considered all the options. We discussed it again with our agency, who was very good at telling us the pros and cons. They shared with us previous stories, the kids who didn’t sign, the parents who landed in China only to be told no before they even met the child, and the stories where children were convinced to sign, forced to sign, and what happened when they came home. We decided it would be better to give Kelly a deadline before we traveled. We didn’t want to take the chance of traveling to China only to have Kelly refuse to sign the paperwork. 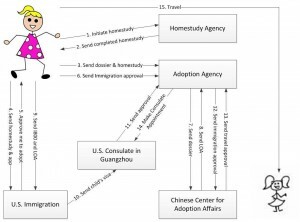 In China, if you are ten or older, you have to agree to the adoption. You have to sign forms stating you wish to be adopted. I have heard others share their stories on a Facebook group. They talked of forcing the child to sign. I have heard the threats that were said by many different parties and the fights that ensued. As I said before, we had previously talked with the director of the group home and he said they would leave the decision up to her. They would not force her to sign. We knew it had to be Kelly’s decision and we knew she needed a deadline. She is painfully shy and neither Dan or I thought standing in front of her trying to convince her would really help anything. I have prayed over and over again. Kelly’s picture is on my homescreen of my phone and my computer. Every time her picture came on the screen, I prayed for clarity for her. I prayed that God’s will would be done and I truly meant it. But being an imperfect human I hoped or assumed that God’s plan would mean Kelly would be my daughter. It’s funny how we do that. Like God is a magic genie and all our wishes will just come true if we pray hard enough. Someone asked me if I was angry at God. I’m not angry at God. I can’t be angry at God because things didn’t work out the way I had hoped. Kelly has free will. I cannot make Kelly do what I wish. I can’t possibly know why we were lead down this path, but I still believe it was God who sent us on this journey. Too many doors were opened, too many signs lead to Kelly for it to not be from God. All the signs lead to this having a happy ending, at least on our end. We’ve never had an adoption go so smoothly. Everyone was on board with the expediting and were more than gracious to speed our paperwork up. Our agency has gone above and beyond. We have been overwhelmed with the support and caring that we have received. Everything was going as planned. We were at that very last stage – requesting a visa, which leads to the Article 5 being issued, which leads to the consulate appointment and travel approval. We had 30 days left and it was more than doable. We were all set. I have tried to wrap my head around this. I have cried many tears grieving over my lost dreams. I saw her in the girl’s room. We bought her a new bed. The girls and I bought her clothes that we thought she would love based on the pictures we’ve seen of her. We know her favorite color was blue so we bought her a beautiful blue comforter. She has jewelry and hairbows. I saw myself brushing her pretty hair and letting her know how beautiful she is. I am her mama in my heart and I would be lying if I said this doesn’t hurt. I don’t understand. I just can’t see the big picture. I can see little bits of what I have learned. I have seen what group homes do for children. These homes are proof that there are better ways to raise children even if they can’t have a forever family. I have seen the other side of teen adoption. I belong to groups where I have heard all sorts of outcomes. My eyes have definitely been opened. I know it doesn’t always go like it has with Jasmine. I have learned how to expedite and I have seen how well the adoption process works if everyone moves stuff along. I have always wanted to speak to our congressman and tell them changes needed to be made to speed the process up, to cut out the redundancy of costs and paperwork, get rid of some of the unnecessary paperwork, and now I know ways that it can happen. But if I was to tell the truth, I don’t want to be more informed. I want to be a mama to a little girl half way around the world who has no clue what that means and who doesn’t want the same thing. So for now, we will try to help her in any way we can. We will stay in touch if she lets us. We will sponsor her. We have let them know we will help with her education or anything else that may come up. I am comforted by the fact that Kelly has people who love her there. She has friends and many who she considers family. She knows God. She has a love for God that is beautiful. There is a video of her singing and signing on Agape’s Facebook page. I believe God must have plans for her there. Maybe she just needed to know that a family would fight for her. I know I don’t have the answers, but I am placing my trust in Him who’s ways are not my ways. Please keep Kelly in your prayers especially on August 17th, which is her birthday. No matter how sure she is of her decision turning 14 will make it very real. Also, please say specific prayers for healing on her feet, she has some really bad blisters and sores on them right now. Thank you for supporting us and encouraging us on this journey. 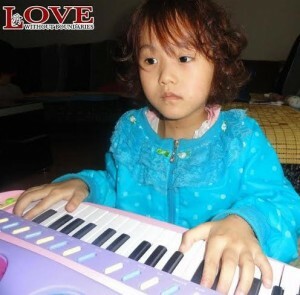 Please consider supporting Agape Family Life House and the other group homes in China and around the world trying to make it a better place for children who wait. The truth is we wish no child had to leave their families, but the world is not perfect. There are many ways to help: Support families that are stuck in poverty so their families may stay intact. Support the group homes that are doing the very best they can for the children in their care. Support groups that are providing surgeries for children in need. Support those that are called to adopt. And finally, if you are being called to adopt yourself, step out of that comfort zone, and see what God has in store for you. For the past two months, we have known that Kelly has had great reservations about being adopted. We have not said anything because we were hoping it was just the ususal “I am afraid” response. We hoped and prayed she would embrace the thought of family even though she was afraid. Months ago, I saw Kelly’s picture on a Facebook advocacy page. I read about her. I knew that my heart was moved but I wanted to be sure it wasn’t just an emotional response. I prayed and prayed some more and decided to ask more questions. I wanted all the information I could get on her so I posted a comment and people responded. I was told that I should talk to two specific people, one of whom had met her and the other who had hoped to adopt Kelly herself. From these two people, I got their names of two other people who had cared for Kelly in the group home. I asked every question I could. The most important questions being “Does she really want a family, would she be okay with a large family, and does she want to come to America?”. I think we all like to think, “Well, who wouldn’t want to come to America and have a family?”, but the truth is sometimes older children do not wish to leave their birth country and everything they know and hold dear. By the time these older children are teenagers, they have come to terms with the fact that a family may not be coming. They are used to caring for themselves. After we knew she got our package, we talked to people again. We wanted to be sure she was okay with a big family and that she truly wanted to be adopted. We tried in many different ways and we never got the response we wanted. We heard over and over again that she wasn’t sure and that she was afraid. We never heard the words, “She really wants a family but is afraid.” You can overcome fear if the want for a family is greater than the fear. We understood that she would be fearful, everything in her life was about to change. We understood it would take time for her to adjust to her new life. No one can be expected to give up everything they hold dear and not have it affect them. You might ask, “Why would you keep asking if she wanted to be adopted?” We kept asking because something just didn’t feel right. Whenever anyone that was close to her talked about it, they always mentioned how everyone was trying to convince her that it was the right thing to do. I even talked with a mother who was going be traveling soon to volunteer there. I did not know her personally but others that I trusted in the Facebook community did. I asked her to spend some time with Kelly and get an unbiased opinion of whether she really wanted to be adopted. She sent me pictures of their time together. I believed things looked pretty good after that. The issue is she has people she loves at the group home. She has a very close friend who she helps with schooling. She considers these people her family. She sings with them. She has art lessons and piano lessons. She can work in their bakery when she’s of age. She won’t be out on the street. In her mind, she has a whole lot to lose and she has no clue what she would gain. With all the information we had, we talked to our agency. After much group discussion within the agency and with our family, we knew we had two options. First, we could travel and hope that we could convince her to be adopted. We were told by her group home that they would not force her to sign. They were going to leave it her decision. Second, we could give her a deadline by which to make her decision. She had been wavering for months and it wasn’t getting better it was getting worse. We prayed and considered all the options. 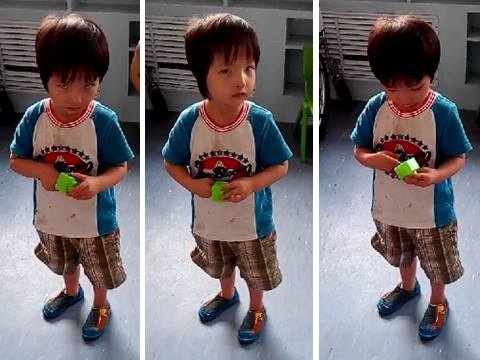 We discussed it again with our agency, who was very good at telling us all the previous stories, the kids who didn’t sign, the parents who landed in China only to be told no before they even met the child, and the stories where children were convinced to sign. We decided it would be better to give Kelly a deadline before we traveled. We didn’t want to take the chance of traveling to China only to have Kelly refuse to sign the paperwork. 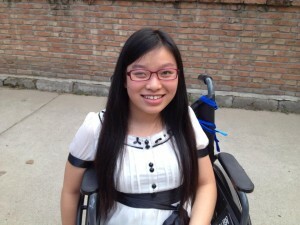 In China, if you are ten or older, you have to agree to the adoption. You have to sign forms stating you wish to be adopted. I have heard of others forcing the child to sign. I have heard the threats that were said and the fights that ensued. As I said before, we had previously talked with the director of the group home and he said they would leave the decision up to her. They would not force her to sign. We knew it had to be Kelly’s decision. I have prayed over and over again. Kelly’s picture is on my homescreen of my phone and my computer. Every time her picture came on the screen, I prayed for clarity for her. I prayed that God’s will would be done and I truly meant it. But being human I just assumed that God’s plan would mean Kelly would be my daughter. It’s funny how we do that. Like God is a magic genie and all our wishes will just come true if we pray hard enough. Someone asked me if I was angry at God. I’m not angry at God. I can’t be angry at God because things didn’t work out the way I had hoped. Kelly has free will. I can not make Kelly do what I wish. I can’t possibly know why we were lead down this path, but I still believe it was God who sent us on this journey. Too many doors were opened, too many signs lead to Kelly for it to not be from God. I have tried to wrap my head around this. I have cried so may tears grieving over my lost dreams. I saw her in the girl’s room. We bought her a new bed. The girls and I bought her clothes that we thought she would love based on the pictures we’ve seen of her. We know her favorite color was blue so we bought her a beautiful blue comforter. She has jewelry and hairbows. I saw myself brushing her beautiful hair and letting her know how beautiful she is. I am her mama in my heart and I would be lying if I said this doesn’t hurt. So for now, we will try to help. We will sponsor her. We have let them know we will help with her education or anything else that may come up. I am comforted by the fact that Kelly has people who love her there. She has friends and many who she considers family. She knows God. She has a love for God that is beautiful. There is a video of her singing and signing on Agape’s Facebook page. I love watching her sing. I believe God must have plans for her there. Maybe she just needed to know that a family would fight for her. 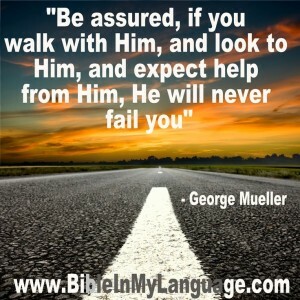 I know I don’t have the answers, but I am placing my trust in Him who’s ways are not my ways. Please keep Kelly in your prayers. Right now she could use some specific prayers for healing on her feet. Thank you for supporting us and encouraging us on this journey. Please consider supporting Agape Family Life House and the other group homes in China and around the world trying to make it a better place for children who wait. We have 60 days left. If you have ever adopted internationally, you know how long all of the paperwork takes. You fill out reams of papers and send them off only to wait for someone to get to them. You do some more paperwork, get fingerprinted, get police clearances, order birth and marriage certificates, have physical exams done, fill out more forms, get forms authenticated by the Secretary of State and the Chinese Consulate, wait, do some more forms, wait again, even more forms, wait, etc. It usually takes close to a year from start to finish. Every time we have entered into an adoption, we have proceeded on trust and faith. We have followed where God was leading and He has done some amazing things on our adoption journey. This journey has been no different. This journey our eyes could not see a way for this to work. We knew it could only happen by God’s power. 1st Corinthians 2:5 ….so that your faith might not rest on human wisdom, but on God’s power. Dan and I did not think we would be adopting again, let alone this soon, but our hearts were taken, first, by Kelly and then by Elyse. Our plan was to pay off the debt that we had incurred with adopting four the previous year. We wanted to find our new normal and let everyone settle in. Then maybe we would see if God wanted us to do more. But then I saw Kelly’s picture and my heart was taken. I knew what we had already talked about: no proceeding with adopting until the debt was paid. But God provided just enough from a bonus to make that a non-issue. We had to ask ourselves “Ok, now what?”. We prayed about the adoption because, to enter into this process and to file a Letter of Intent (LOI), meant Kelly was no longer able to be adopted by anyone else. What if we couldn’t finish in time? What if someone else already in the process wanted to adopt her? Would we stop her from having a chance at a family? But she had been advocated for by others for quite sometime and no one mentioned trying to adopt her. 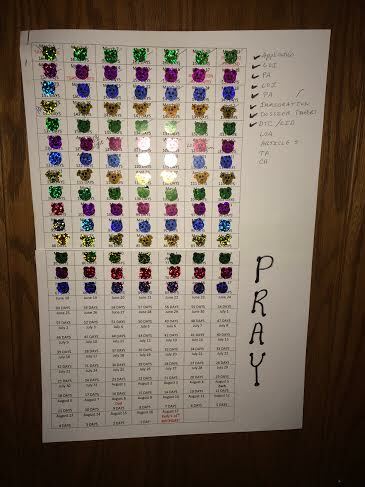 We prayed some more, felt God’s lead, and decided to proceed. I sent an e-mail to our agency and said, “Is this possible? We have 170 days.” They said, “It is possible if everything goes perfectly. We will do our best.” Having been through this process twice before, I knew things rarely go perfectly, but God was leading so we followed and trusted. The first issue was getting the file transferred to our agency. We know this doesn’t always happen, but sometimes in aging out children they will allow it. We heard that the other agency would allow the transfer and we sang praises. With our last adoptions, we were delayed by the rejection of the fingerprints of our handicapped 27 year old son. Each of those rejections can add six weeks of time to get a new set of prints done. You have to be rejected twice and then to have them run manually. We didn’t have the luxury of time with Kelly’s adoption, but then the most amazing thing happened. I heard from our social worker, Jan, that she knows someone who can get these prints done with a three day turnaround. What an Amazing God provision! Not only were Codey’s fingerprints rejected, but Linda’s (Dan’s mom) were too. What a mess. We are at a loss. We have to start all over at square one. I called customer service at the FBI. I asked to talk to supervisors. I talked to the people who ran Codey’s prints to start with. Everyone said there is nothing they can do. But then Jan remembered something from a previous inservice she had attended, she placed a call and amazingly, something we were told could not be rushed and would take another six weeks, gets done the very next day. God provides again. In the middle of Evie and Eli’s surgery we were trying to complete our 1-800A to be able to get it authenticated at the Secretary of State’s office and then the Chinese Consulate so we could complete our dossier and send it to our agency for review. The goal was to have the dossier done, translated, and set to China by the end of May. We had to get them to agree to expedite the 1-800A, which is usually at least a 30 day turnaround. They agreed to expedite and went above and beyond in helping my daughter get things together since we were out of state. We have had this happen over and over again. Just recently we were told that it would take 2-3 weeks to get LID after they mailed our dossier. The timeline was to have our dossier reviewed by our agency, sometimes this can take 1-2 weeks. Mail said dossier to China which takes 3-5 days to arrive and then wait for China to log in dossier, which can take 2-3 weeks. Our dossier was mailed on the 6th of June, arrived in China on the 9th and was logged in on the 10th. More provisions. We are now waiting on our Letter of Acceptance (LOA). These have been taking 60-90 days. The quickest turnaround our agency has seen was two weeks. Refer back to our time frame….60 days left. This is not doable by man’s hands; good thing it is in someone else’s hands. Praise the Lord, we received our soft LOA yesterday, the 17th, one week after being LID! How could we not stand in awe of a God that can move mountains for one sweet little girl half-way around the world? 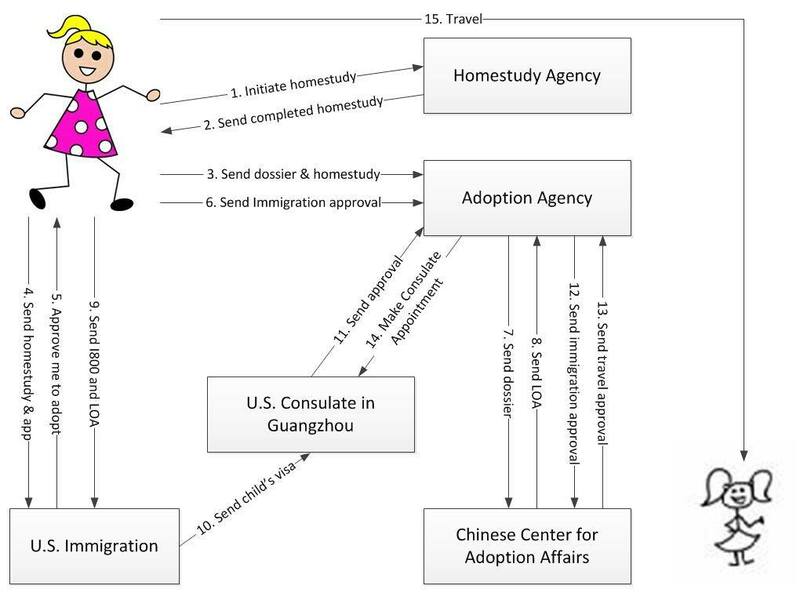 Our LOA is needed to file the final immigration papers (1-800), which allow us to bring two children into the U.S. After that we still need to get our Article 5 (which informs the foreign central authority that U.S. competent authorities have determined the prospective adoptive parents are eligible and suited to adopt), which will then allow for travel approval (TA) and our consulate appointment (CA). We will then be set to travel. The only catch? 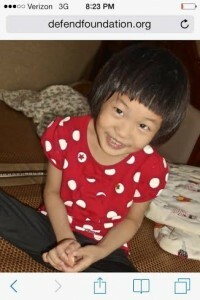 Evie’s surgery has been rescheduled for July 17th and we need to be in China before August 17th to adopt Kelly. But as with everything else in this crazy adoption, things change. Evie’s teeth look pretty bad. We decide we need to get her teeth done before heart surgery and her dentist graciously works Evie into the schedule. Yesterday, we got to claim the blessing of protections unknown. Evie had an abscessed tooth. We didn’t even know it. She had no fever and no pain. Had Evie not gotten the cold and had we proceeded with her surgery, then we could have been looking at endocarditis right now. There’s a proven correlation between oral health and heart health. If you have dental problems, it can cause bursts of bacteria into the blood stream and if you have any artificial material, like Evie’s BT shunt, bacteria can stick to it and it can be very difficult to treat. It’s not just the shunt but kids with heart defects in general are at risk for endocarditis. An abscessed tooth means removal of that tooth and a possible delay of surgery. I am unsure of what will happen now, but I know that God knows and I am trusting with all my heart. Since the beginning of this crazy adoption journey, we knew it was going to be all His doing. I do know that sometimes He brings you to things to learn and to grow and it doesn’t always necessarily go the way we had prayed or hoped. I have learned a lot about older child adoptions, about expediting adoptions. I have learned that children don’t always want to leave their country and we can’t assume we know what is best all the time. I have decided that there are changes that need to be made. There is so much redundancy and extra unnecessary cost, which in turn makes children wait for longer than necessary. There has to be a better way. Elijah’s surgery has been scheduled for September, well after the time we get home with the girls. All that remains is Evie’s surgery and this process. We specifically want to travel before the surgeries. Please pray for things to move as quickly as they can. God has heard your prayers and we are forever thankful. In the meantime, I have received pictures of Kelly that make my heart smile. We are still waiting on an update for Elyse. This mama’s heart is hopeful and joyful – expectantly waiting on the Lord.